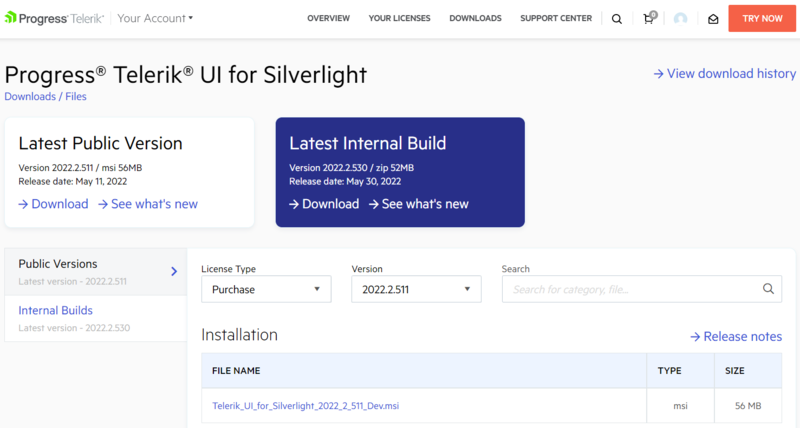 Telerik_UI_for_Silverlight_[version]_[license].msi – automatic installation, check Installing Telerik UI for Silverlight from MSI file for more details. 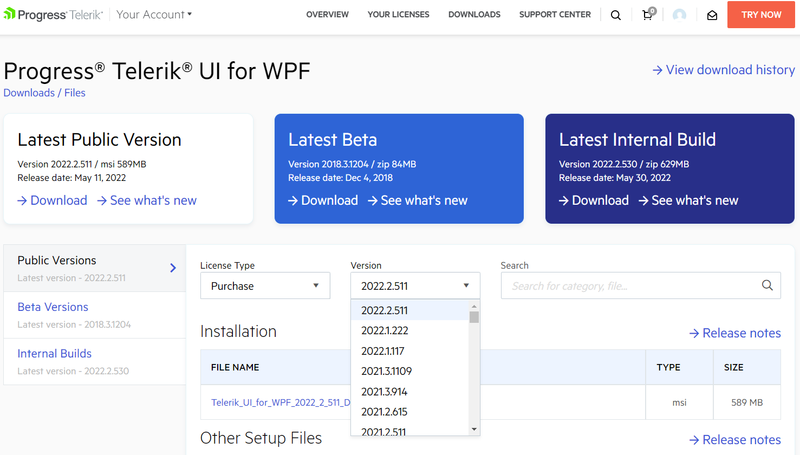 Telerik_UI_for_Silverlight_[version]_[license]_Hotfix.zip – used for manual installation, for more details check Installing Telerik UI for Silverlight from ZIP file. This section contains the offline documentation as well as the ApiReference (both as CHM and Help3) of Telerik UI for Silverlight and DocumentProcessing products. You could download the complete source code of the Silverlight Demos as well as the provided sample applications. Telerik_UI_for_Silverlight_Source_[version].zip – complete source code of the Telerik UI for Silverlight product, available only with Developer license.